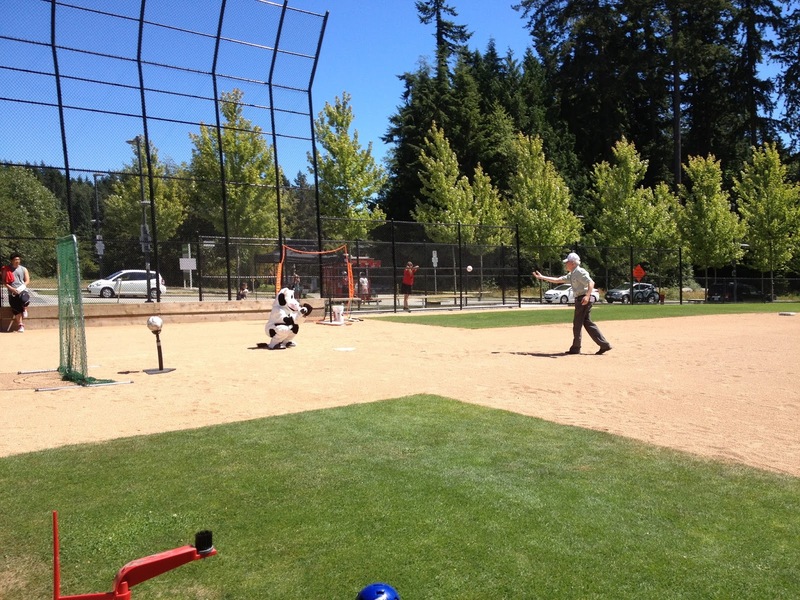 Richard Alexander, UNA Chair, tosses the first pitch to celebrate the opening of Nobel Park Baseball Field, July 27, 2013. Alexander demonstrated his decisive Chairmanship with three swift strikes pitched at a burning pace over home plate. Backstop, Luna the UNA Cow, was heard commenting after the event that their hooves were burning from the impact.